Vienna, April 8, 2019 – CHEP Austria is expanding its service center at Vienna as a business location using state-of-the-art technology. The market leader in pallet pooling invested in the single-digit millions in the automation of pallet inspection and repair in order to increase the efficiency of its service center in Hof am Leithaberge. At the beginning of 2019, the starting signal for the fully automated operation was given. Through the use of robotics, CHEP wants to consistently ensure the highest standards of performance, compliance, and sustainability. Since 2010, CHEP has been supplying pallets to the Austrian market from Hof am Leithaberge, especially the Vienna, Graz and Salzburg regions. With Paletten Logistik Winter GmbH as a reliable and experienced partner, constant pallet availability is guaranteed even during busy periods. 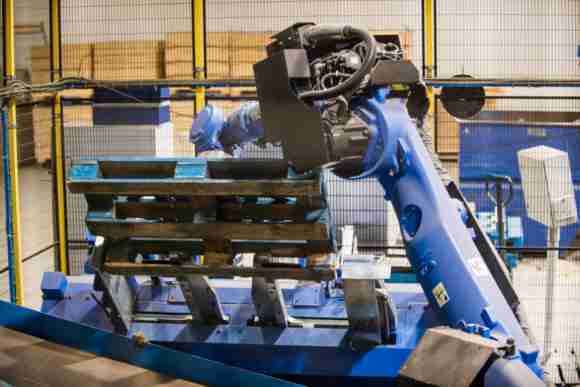 Millions of pallets are checked and repaired after each delivery cycle every year according to the principle of “Share and Reuse.” Depending on requirements, CHEP Austria offers its customers a platform mix of Euro, industrial, half and quarter pallets as well as plastic pallets and the rollable Dolly display loader. In the fully automated operation, CHEP pallets are routinely inspected for defects, damage or contamination. In this way, the double-digit, constantly growing demand for the blue load carriers can be successfully managed. 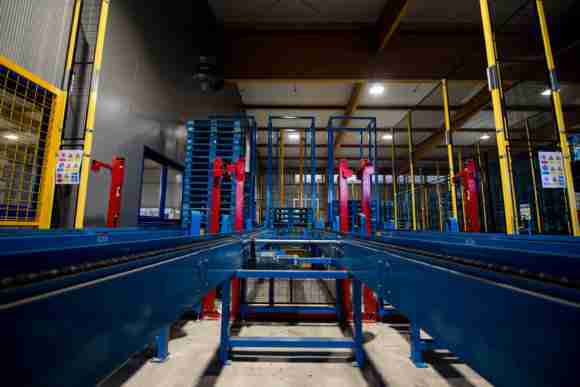 The new work environment gives service center employees greater comfort in terms of ergonomics, as robot units take over work steps such as repairing defective pallets.